Mining and quarrying currently account for 2.7 percent of Sri Lanka’s GDP, and the government has announced plans to increase the share of mining in GDP. According to Minister of Industry and Commerce Rishad Bathiudeen, this means that Sri Lankan graphite producers are likely to witness even better prospects in future. 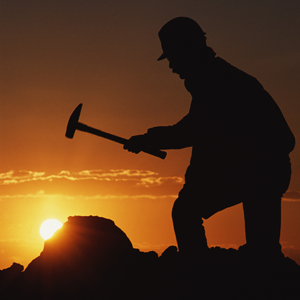 The mining sector has been actively voicing issues and calling for positive reforms. Global investors are also welcoming specialised mining licences as opposed to the general licences available in Sri Lanka. Graphene is the world’s latest breakthrough material produced from graphite and Sri Lanka has the latest graphene processing technology, which can produce multilayered graphene (from locally mined graphite) at half the price of the current international price of US$ 12,000. Therefore, the decision to increase the share of mining in GDP is deemed to have come at an ideal time.